Yesterday, President Barack Obama signed an executive order that prevents federal contractors from reprimanding employees who discuss their salaries. Supporters of these legislations, believe that salary transparency is the key to equal pay between men and women. “For example, Lilly Ledbetter was paid less than her male coworkers for decades without realizing it until someone took a risk and slipped her an anonymous note,” Obama said in a press release. While this new exec order only applies to government workers, a larger bill “Paycheck Fairness Act,” would prevent all employers from forcing salary privacy. The latter has failed to get enough votes twice, but third time could be a charm. So, What’s the Proper Etiquette for Discussing Salary? Let’s be realistic: Discussing salary has been a social taboo for a long time. Even if the legislation passes and we’re all allowed to compare the amount of bacon we bring home to that of our cubicle neighbors, it’s still not exactly a comfortable conversation to have. 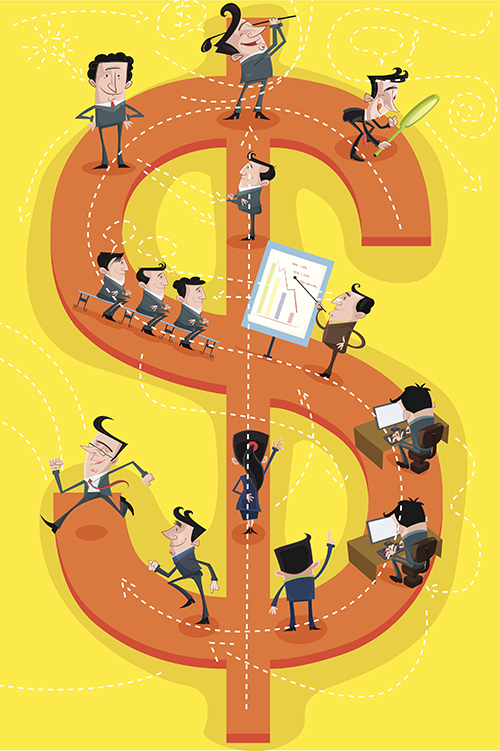 A recent global poll by Monster found that only 25 percent of US respondents are comfortable sharing salary information with their coworker. “If there is a significant disparity between individuals’ pay, and if the lower paid person feels like she works harder, has been there longer or holds a more important job, she’ll be demoralized, at the very least,” Mark R. Gerlach, career strategist and former recruiter tells Learn Vest. That’s why it’s critical to tread tactfully when discussing salaries. Nothing good can come of you gossiping about salaries. Instead, the best approach is a direct one. Rather than bluntly asking what your colleagues make, start the conversation by expressing your fear that you may not be getting paid what you’re worth. Use cautionary phrases like: “Do you mind my asking?” to demonstrate respect. And be understanding if they aren’t ready to share their salary just yet. Alternatively, your colleague can still offer valuable knowledge by simply confirming whether or not your salaries are aligned fairly without divulging the exact number. It will take a while before salary transparency successfully promotes enough accountability to minimize any hard feelings. Alternatively, Katie Donovan, founder of Equal Pay Negotiations, suggests asking someone in your industry, but not your company. r job with you colleagues as well. ‘I'm in the bottom half of our range. Where are you?’"
Whether or not the Paycheck Fairness Act actually passes, there are so many other ways to become more knowledgeable about what you should be making. CareerBliss’ salary tool is a great place to start. It’s a database of millions of salary points submitted by real employees like you. They’re all anonymous to protect the identity of the community members. Simply search by job title, company or keyword to give yourself a general idea about how much you should be making. Remember to factor in experience, education and cultural fit. Alternatively, you can also discuss salary norms for your position with recruiters. While it’s true that there are many factors that play into a salary offer (education, experience, negotiations…to name a few), remember that salary privacy benefits your boss, not you. If you’re underpaid, it’s better for the folks in the corner office that you don’t know what your colleagues are making. If, for instance, you didn’t negotiate your signing bonus or ask for a larger relocation package, and your coworker explains that she did, you’ll be better informed the next time you’re in the same position. Had you never chatted about this, you might have never known to ask about various levels of relocation packages or signing bonuses. In fact, women are particularly notorious about missing opportunities to negotiate up. 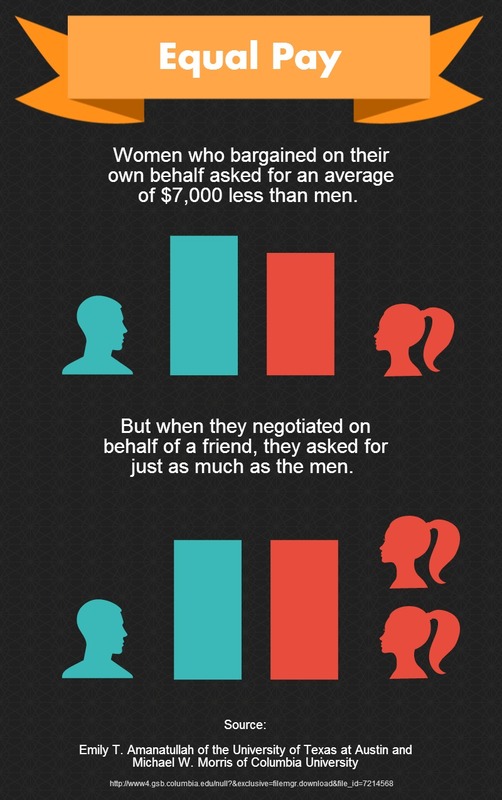 NPR recently reported a study that compared how much men and women counteroffer. Stats like these are abound. Here at CareerBliss, we’re all about sharing salary knowledge to help empower each other to be proactive, stay competitive and earn what you’re truly worth.